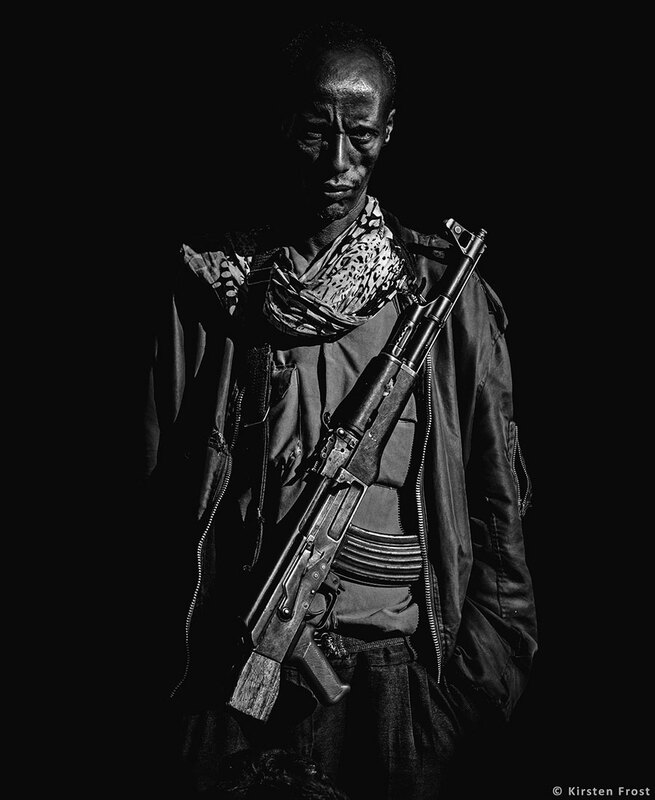 He quickly shifted his AK47 when he noticed me starring at the barrel which was jolting from side to side as we navigated the bumpy gravel road enroute to Surma territory, home the Suri people. I wasn’t fazed though… it doesn’t take long to get comfortable and immerse oneself in a new setting. I think that’s the best way to travel; be open to everything, expect different norms, adapt and embrace it. I did however offer this particular gun wielding man a water and some left-over crackers to be on the safe side. 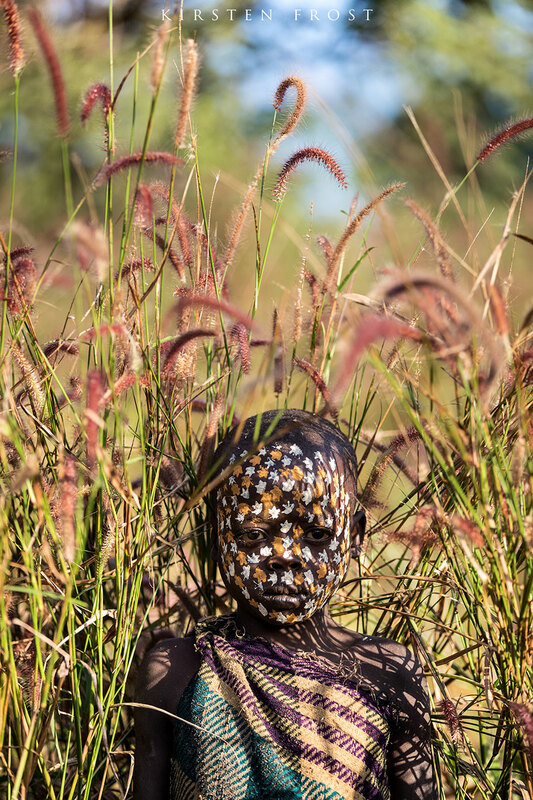 Our expedition to Ethiopia was to photograph the tribes of the Omo Valley, the Suri Tribe in particular. 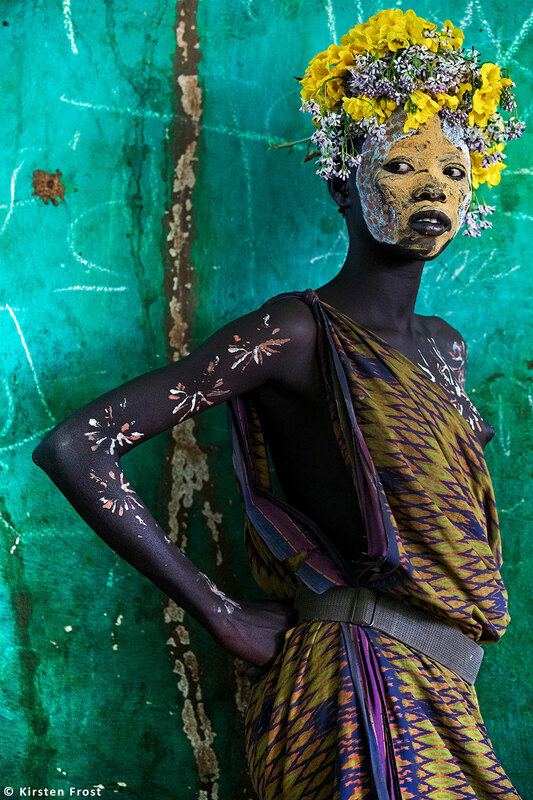 The Suri people are semi-nomadic cattle herders and live on the west side of the Omo River. 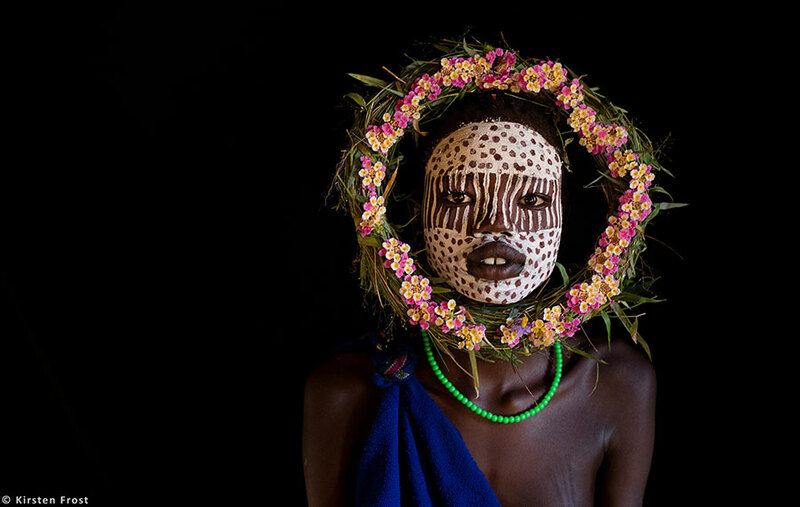 Due to their remoteness, the Suri Tribe is one of the least visited of the Omo Valley’s tribes. 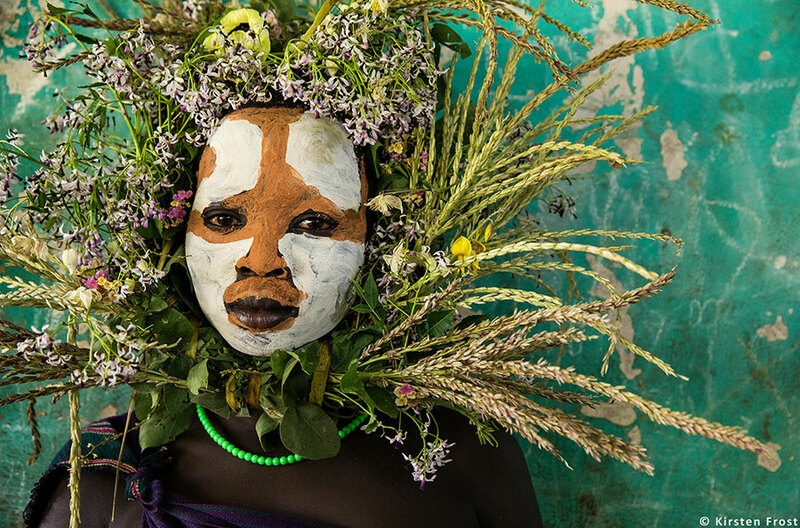 They are arguably the most beautifully decorated and are renowned for their incredibly ornate decoration of themselves, which they achieve through painting, scarification and adornment with flowers and other natural objects. 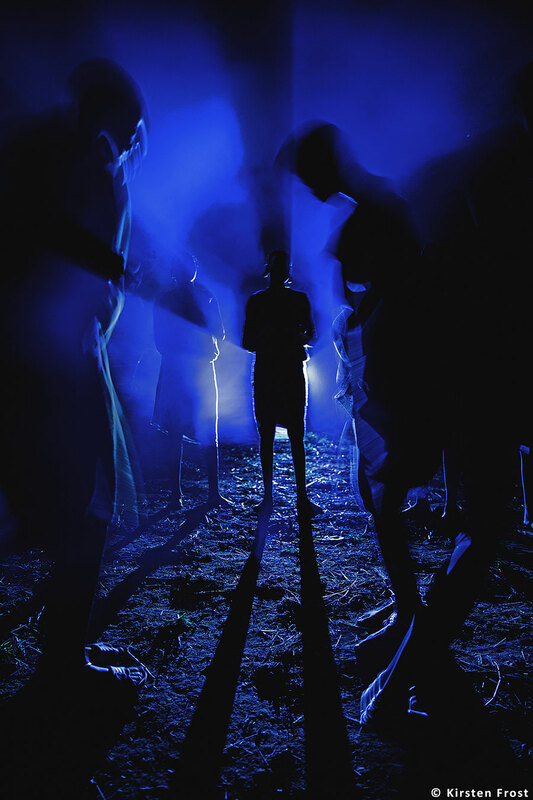 Our journey to photograph the Suri Tribe began on arrival at Bole International Airport in Addis Abba. After a good night’s rest in a pleasant hotel nearby, we headed back to Bole International Airport to check in to a flight to Jimma. Jimma, the largest city in southwestern Ethiopia, was our destination for the evening. 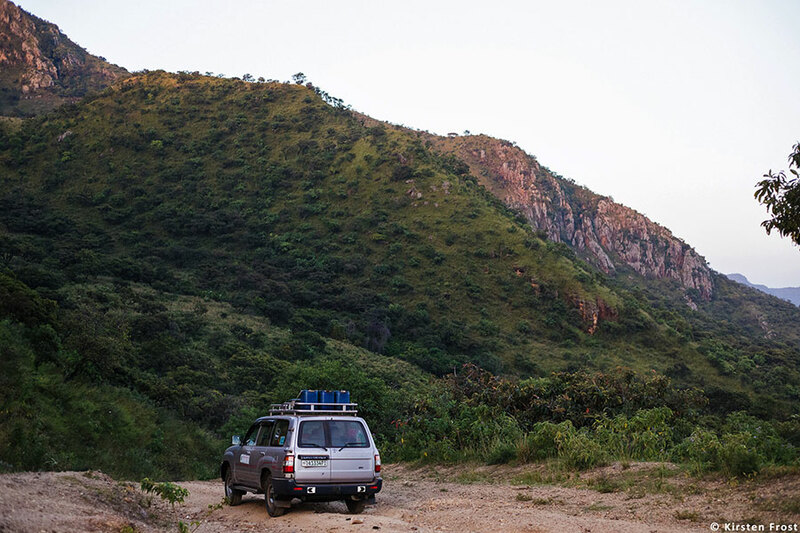 On day 3 we travelled my road to Mizan Teferi, our final destination before heading off the beaten track into Surma territory. 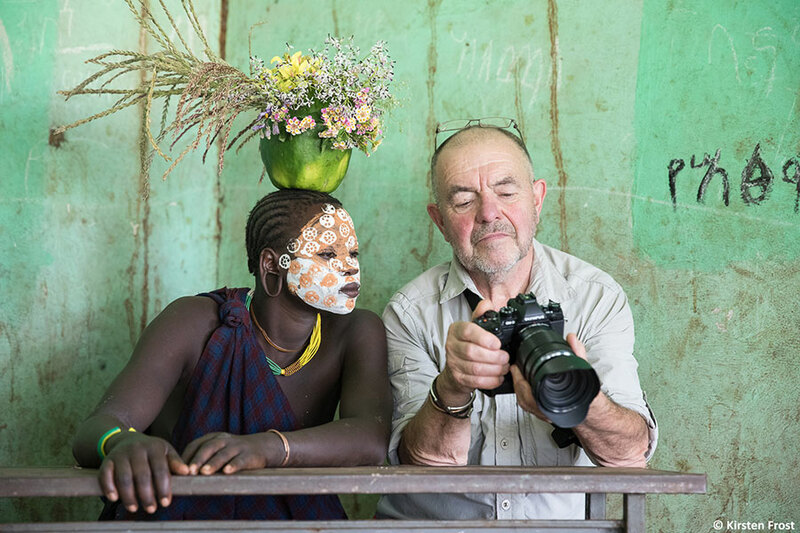 This initial stint of traveling holds many photographic opportunities and is the ideal time to get to grips with the country, its people and your personal photographic vision. It was this final stretch deep into what seamed like unchartered land that I realised just how nomadic the Suri people were. 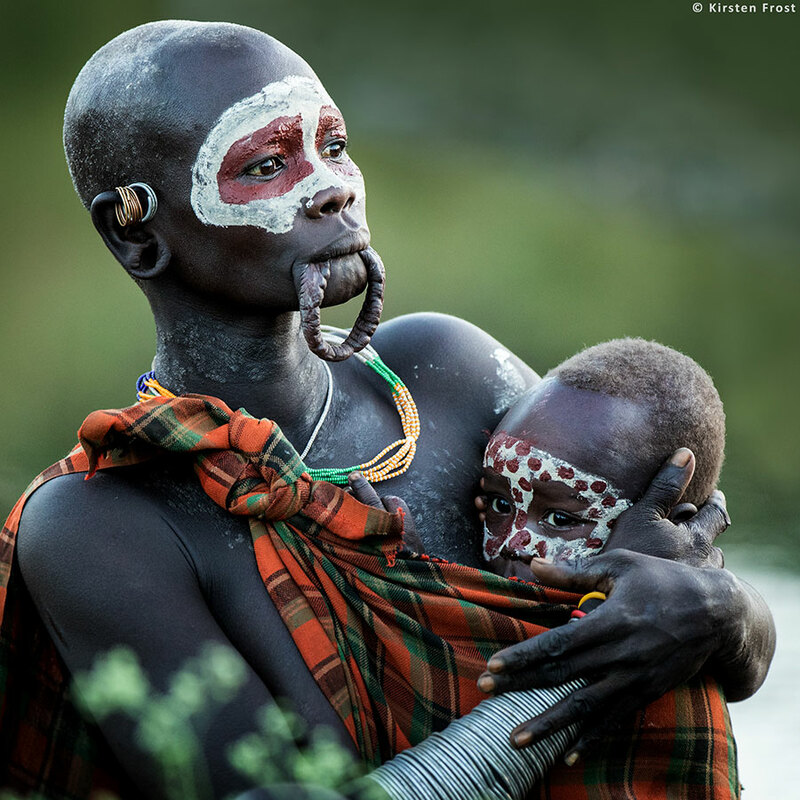 Sadly, their cultural identity, and indeed very way of life, is being placed under increasing pressure from the outside world, and it really is a case of “explore and photograph the Omo Valley while you can”. We soon arrived at the ORYX Surma Photo Camp. 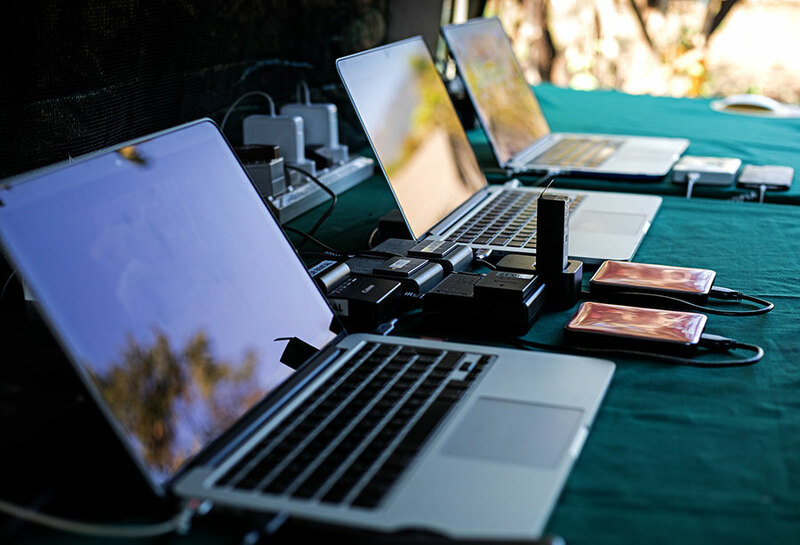 After more than 2 years of fine-tuning our ORYX Surma Photo Camp in the heart of Surma Territory in Kibish, it was truly a delight to experience the finest mobile tented camp in Surma Territory. 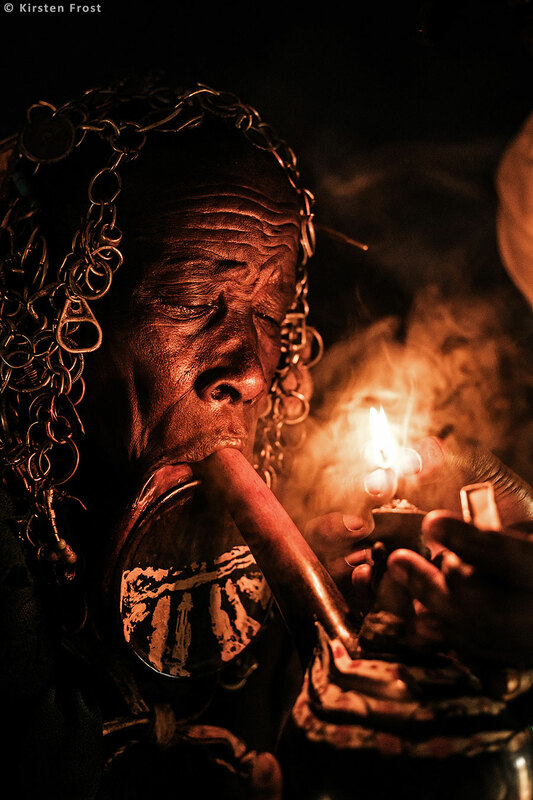 ORYX’s camp allows for a truly unique insight into the stunning Suri people, who are surely one of Ethiopia’s standout cultural gems. 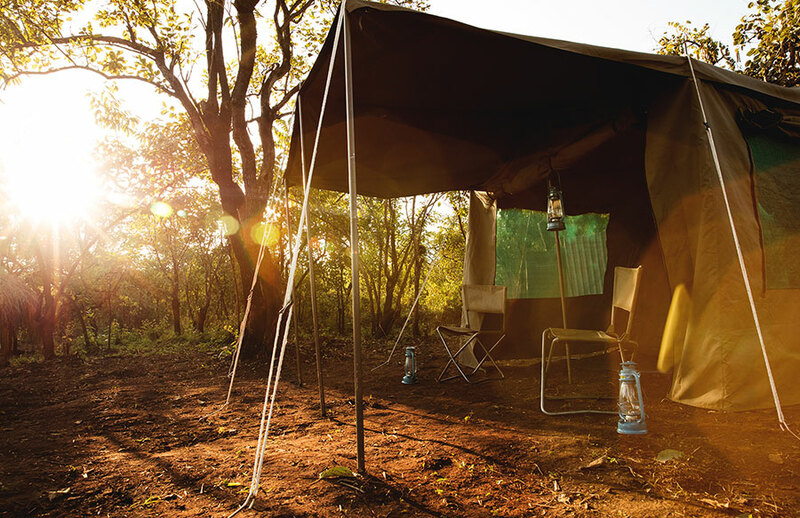 The camp is kitted with canvas tents, power to charge batteries, bucket showers, a fire place, a dining tent, and a kitchen where our cook prepares your meals. 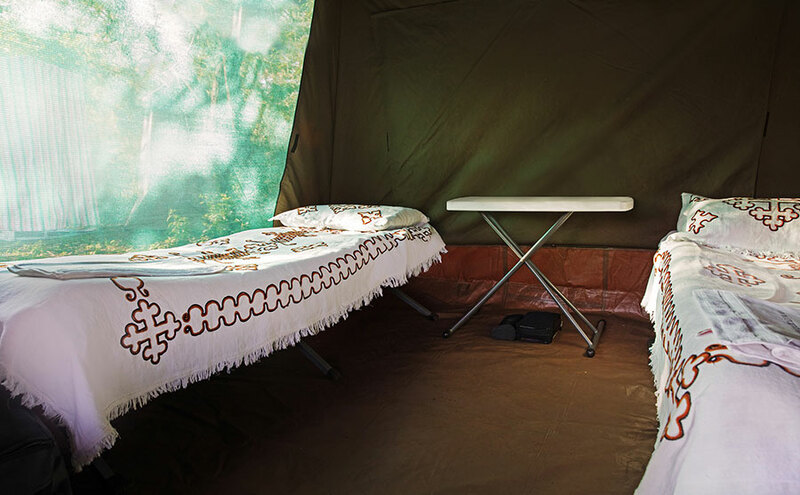 One of the highlights at the ORYX Surma Photo Camp is its own ‘studio tent’, the perfect setup to photograph cultural portraits with dark backgrounds. 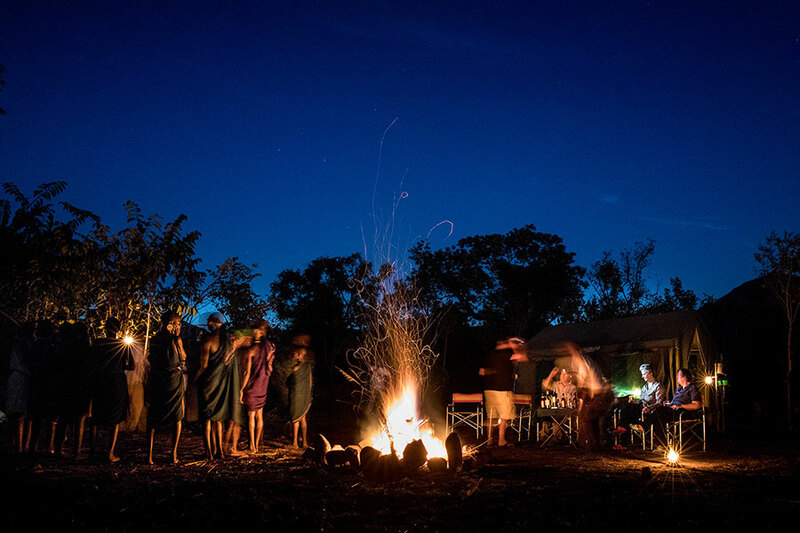 The camp serves well as a base from which to explore the area and its people. Not far from the camp is a school which makes for the most wonderful setting to photograph. The colours and textures of the walls creates a new dynamic to portraits photographed here. We also found hand drawn illustrations on the classroom walls which we included in our compositions. Venturing a little further down the road from camp is a river which is another favourite location to photograph the local people in a natural setting. One is bound to find interesting new compositions while exploring this area. 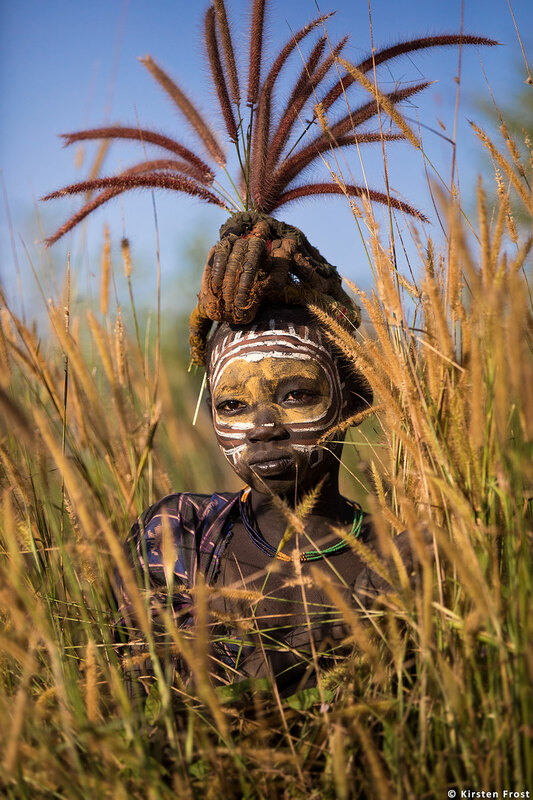 Our local guides who are born and raised in Ethiopia are an invaluable asset to have on our Omo valley tribe photography tours. Their local knowledge aids us in creating special experiences and finding the best possible photographic opportunities. 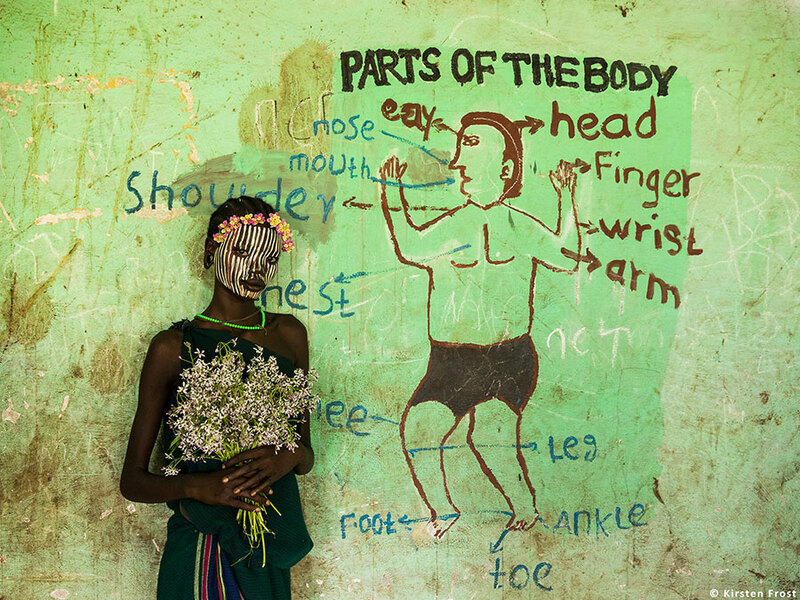 Their reputation amongst the Omo valley tribes are excellent; allowing us to get into places that many visitors cannot. 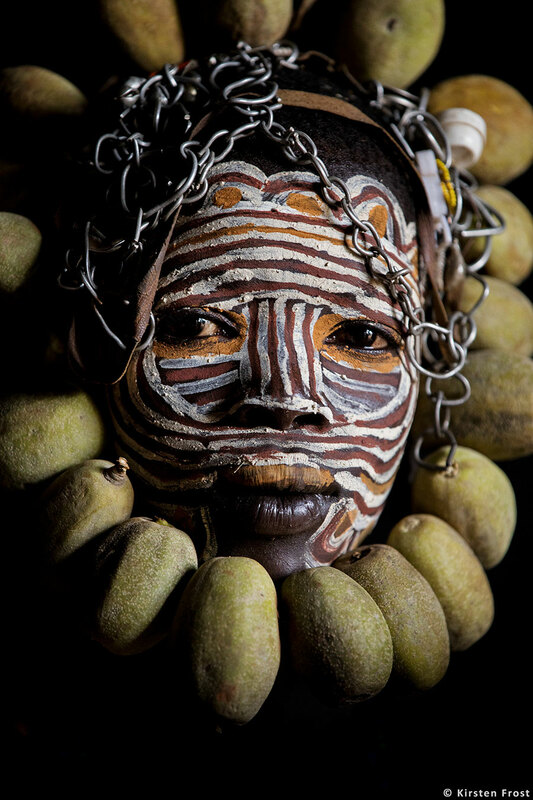 Ethiopia is a wonderland of exotic tribes and cultural mix. I can see why ORYX’s photo tours to this mysterious land have proven to be amongst our most popular!